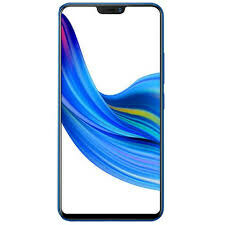 The V1 specifications of the latest Z1 phone are displayed on many websites that show that this phone will be of medium-range with a modern slot at the top of the screen. Vivo Z1 is definitely a new series of brands and this is the first smartphone of this series. The device specifications are a combination of two previous smartphones for this brand so you can say that the V1 in Zo will be better than both the machine is named V9 and X21. Samsung also has some new hardware, but time will tell us that the result will be because the competition is tough. The Vivo Z1 will be against smartphone brands like Huawei, which is also the country’s original product. 154.8 will be the height of the phone where the Z1 Vivo gave a width of 75.1 mm. As far as concerned about this thinness this phone is 9 mm. The weight of the smartphone is 149.3 grams which seem to be a normal weight for this type of device. The 6.26-inch Vivo screen is selected for the next Z1 phone with a resolution of 1080 x 2280 pixels. IPS uses LCD to achieve everything in life where 16M colors are used to make the screen look bright and colorful. The Z1 is made of plastic, with the interior of this handset sturdy and at the top of the list is the Qualcomm SDM660 Snapdragon 660 chip, which provides a solid base for the Z1 core processor with a 2.2 GHz clock speed. The Adreno 512 GPU is finished to handle the graphical performance of the smartphone. Applications are handled with 4 GB of RAM while storage capacity of Z1 is 64 GB and supported by 256 GB of external storage but there is bad news for those who like to use two networks at the same time. Z1 by Vivo contains a hybrid SIM slot that can insert an SD card to expand the storage of the device. A 3260 mA battery is used to meet the power and battery requirements of a fixed and non-removable Z1 vivo.